Carrot Cake! It's been a long time since I made last one... I don't even remember when that was. 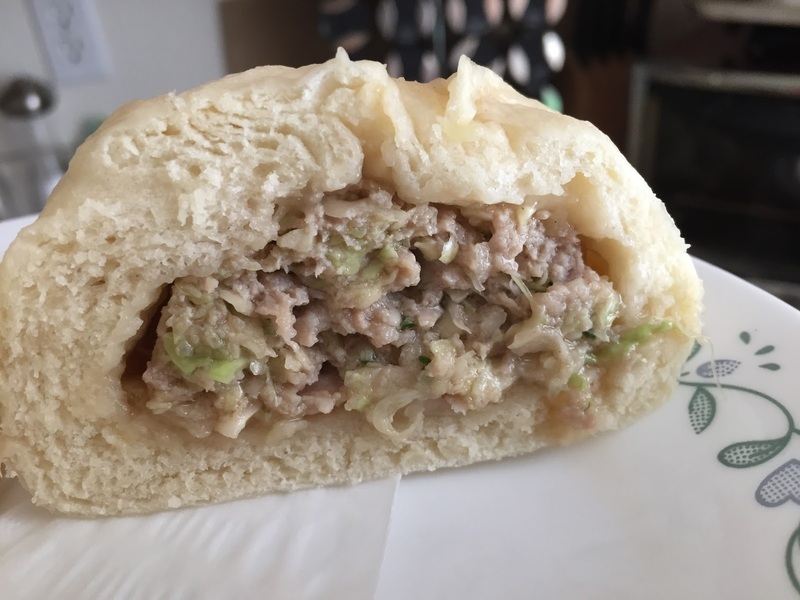 I searched all recipes, and I chose this recipe I found at foodnetwork by trusty Alton Brown. But as usual, I make my own variation. I did not cover mine with cream cheese frosting or the butter, except for buttering the cake pan to coat with flour. I used sour cream instead of yogurt. I used Ceylon cinnamon. Organic eggs. And a couple of other changes in spices . . . using what I have in my pantry. 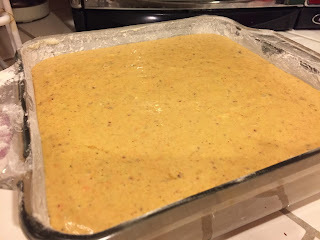 Smear 9x3 inch glass cake pan with unsalted butter - sides and bottom. Sprinkle flour freely to cover. Set aside. Wash the carrots and grate with food processor or hand grate. Transfer to a bowl. 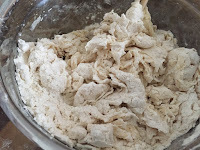 Put the flour, baking powder, baking soda, spices, and salt in the bowl of a food processor and process for 5 seconds. Add dry mixture to the carrots and toss until they are well-coated with the flour. Add ground flax seed mill and raisins. Toss well. In the bowl of the food processor combine the sugar, brown sugar, eggs, and sour cream. With the processor still running drizzle in the avocado oil. Pour this mixture into the carrot mixture and stir until just combined. Pour into the prepared cake pan and bake on the middle rack of the oven for 45 minutes. Reduce the heat to 375 degrees F and bake for another 20 minutes or until the cake reaches 205 to 210 degrees F in the center. 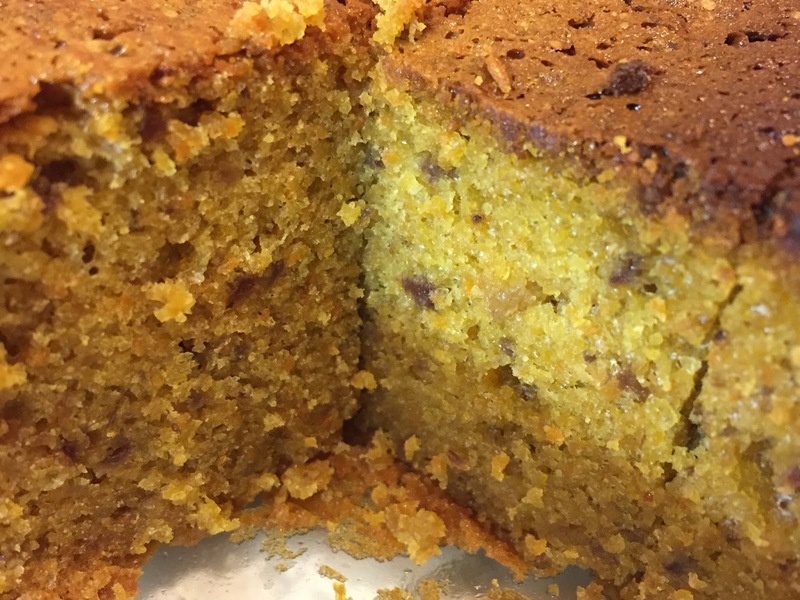 Remove the pan from the oven and allow cake to cool 15 minutes in the pan. If you would like to frost the cake with cream cheese frosting follow the instruction here. After 15 minutes, turn the cake out onto a rack and allow cake to cool completely. 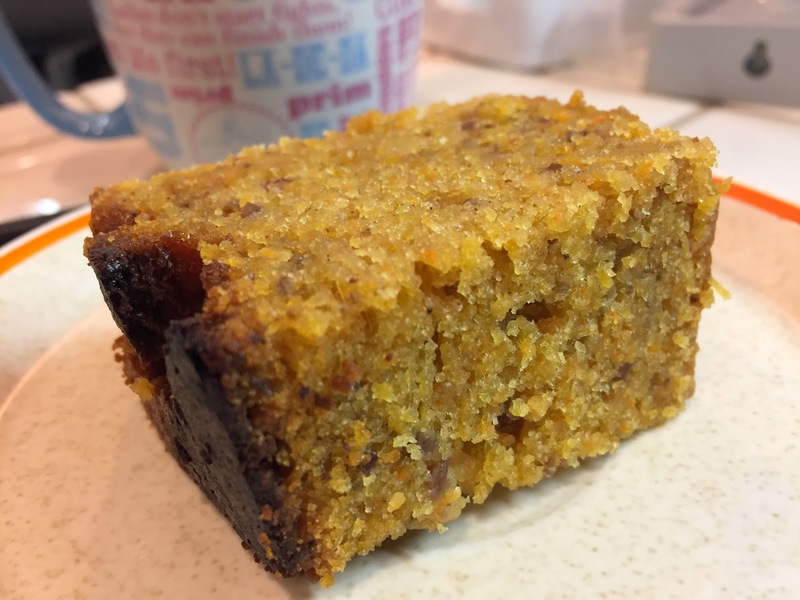 The cake is moist and delicious. Not that the place is untouchable, it is just a place I kind of would feel out of place visiting by myself. There are many restaurants I visit including Bouchon in Yountville with no problem, but I am not quite certain what's about Ella, I feel ... well, the opportunity came for a bunch of convention attendees to be invited to attend evening cocktails. We got the entire place to ourselves. Here is my photo journal. Look up and open the windows!! The best part of it all...we were guessing... lemony creamy custard? on top of crushed graham crackers? The chocolate cup was very good, but we loved the lemon cup the best. This is another one of my adventure last summer. Time really flies. I was not able to finish the blog after starting it. Although this did not turn out like the ones I made a few moons ago, it still tasted good. What is an adventure, if everything turn out perfectly. 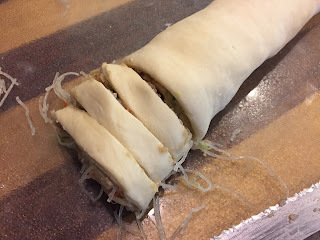 I have made this before the Hwa Juwen - the 'flower' roll with vermicelli (reconstituted Chinese bean thread). It is one of my favorite. Normally, you would not see this much vermicelli mixed in it. But since this is mine, I did what I like. Premix reconstituted bean thread noodle (shred cut with kitchen scissors) with stir fried ground pork and some shredded carrots for color. Add some salt and white pepper for taste. Roll out the dough, fill the dough. 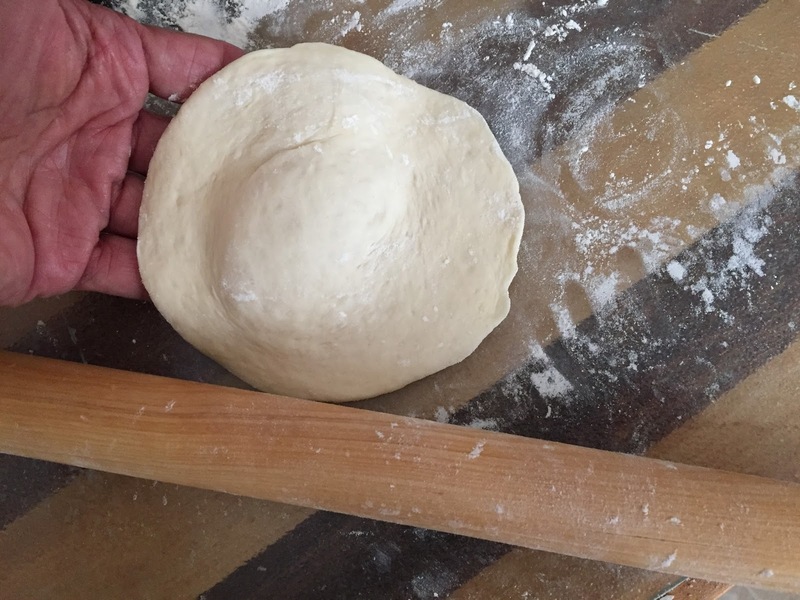 Slice the dough and roll the dough. 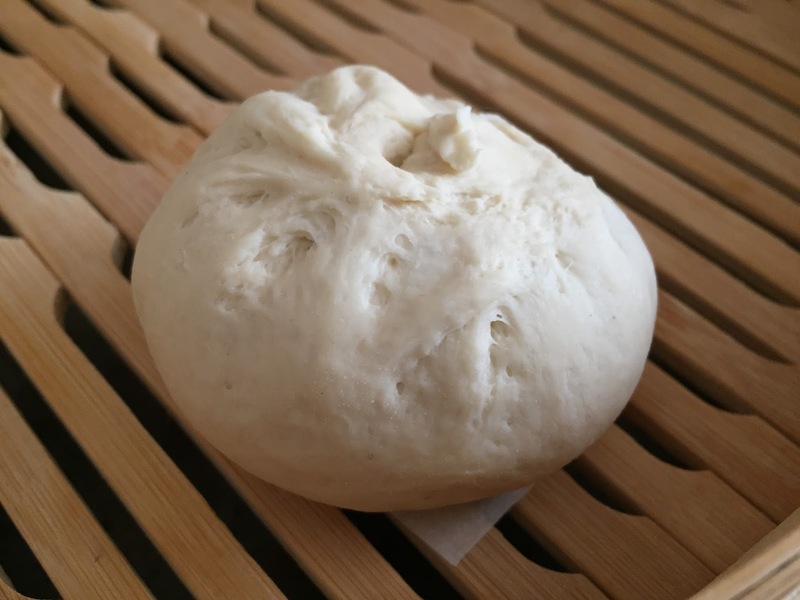 Prepare the basic BAO dough. Let it rise to double. Roll out and fill with reconstituted bean thread vermicelli stir fried with ground pork and some shredded carrots. 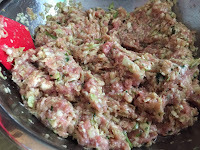 You could add chopped green onions or chopped curly parsley, etc. *DO NOT slice through to the bottom - make three or four slice cut but not sliced down at the bottom. On top of a pot with boiling water, in steamer basket, place the filled Hwa Juwen on top of a cut parchment paper-preferably organic. Steam at high heat for 25 to 30 min. Juwen to taste. Quickly return the steamer's cover. 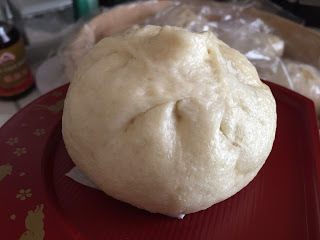 We have been testing various formula for making Chinese BAO. 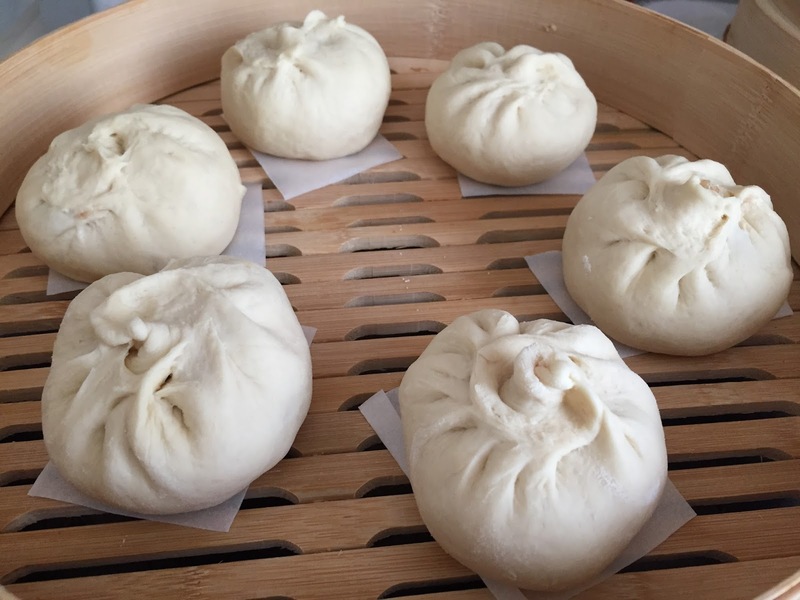 We are convinced that those fluffy "white" BAO served at dim sum restaurants or at any Asian markets are using bleached unhealthy flour. So, forget the white and let's get used to the homemade. This dough recipe is for a several types of Chinese BAO types. Combine everything except oil. Combine with chop sticks until water is absorbed; then add oil. Cover and proof for 25 to 30 min. Place in oiled plastic bag and tightly close the bag and leave in refrigerator for 2 hours for low temp proofing method. For Preferment Method - For 'ZON ZONG FASHIAO FA' - Divide the dough into two, and place each in oiled plastic bag, refrigerate for 4 hours or more in plastic bag. Water - 1-1/4 C - add only 1-1/8 C first and reserve 1/8 C and use it only if needed. Mix sugar and yeast into water. Hand shred MIEAN ZONG and add pieces into the mixture. Add flour, then mix with chopsticks. 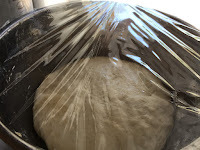 Start kneading the dough until smooth. Cover and place in warm place for about 10 to 15 min. Take 1/3 of the dough can be used for cold MIEAN ZONG. 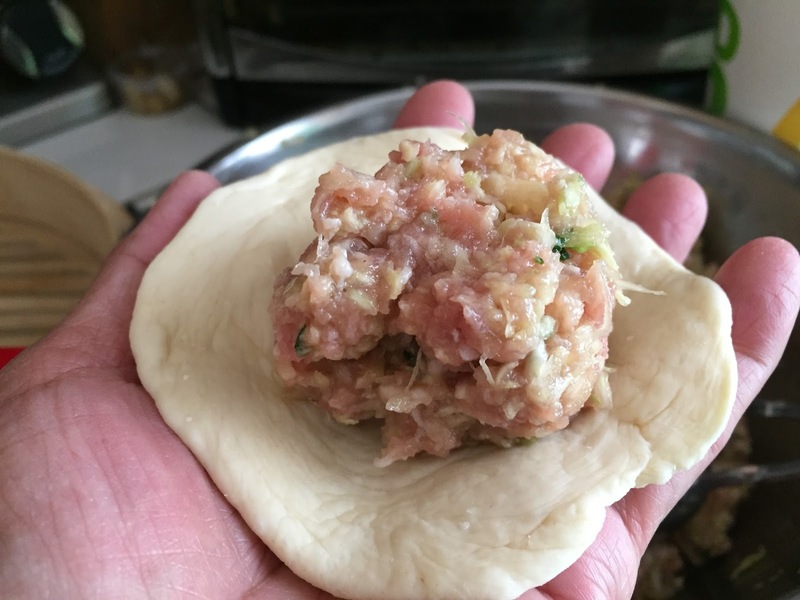 Use the rest to make various type of pastries that requires ZON ZONG MIEAN TUWAN. 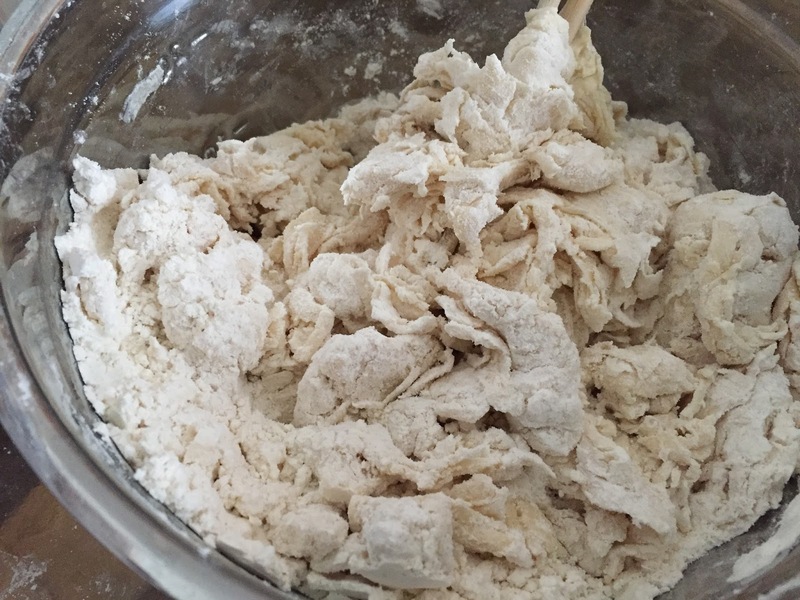 Mix sugar, yeast with water, then add flour and baking powder. Mix till water disappears and shredded dough forms. 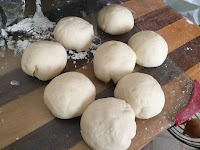 Start kneading the dough and add water if needed to form soft dough and smooth. Cover and rest 5 to 20 min. 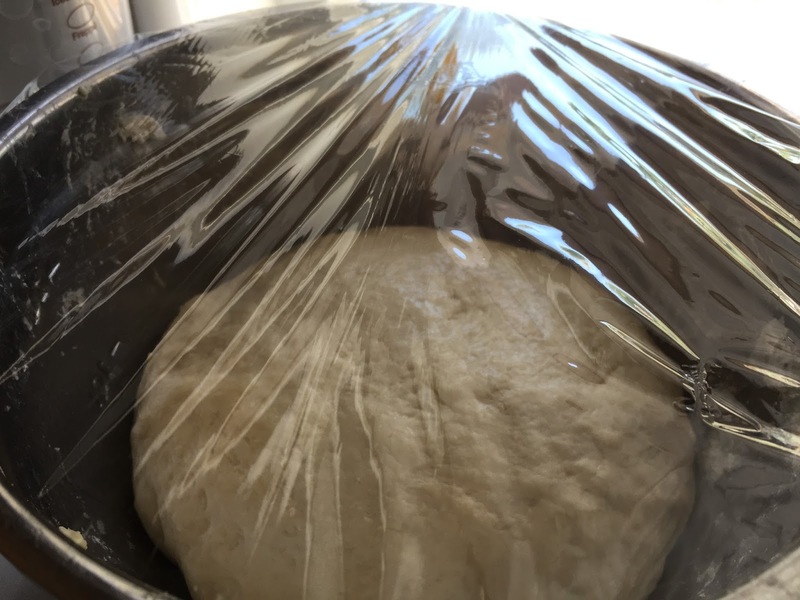 The dough is ready for use. Results? I am not 100% satisfied with this formula for the BAO dough. But it's a keeper to test out further and add improvements to it.